A new report on the safety of school supplies claims some Playskool brand crayons tested positive for asbestos. The US Public Interest Research Group said Playskool crayons purchased at a Chicago Dollar Tree store tested positive for trace elements of the dangerous substance. The group tested six different brands of crayons, purchased at stores in several states. And Playskool was the only one that tested positive for asbestos. Three years ago, similar tests found many different brands tested positive for asbestos; however, this year only one brand tested positive. Hasbro, the parent company of Playskool, said it's looking into the report. 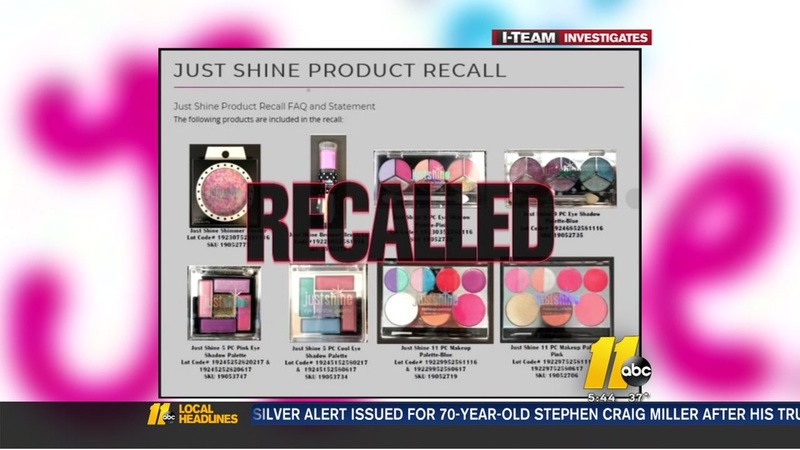 An ABC11 Troubleshooter investigation prompted a national voluntary recall involving makeup specifically made for kids and teens. The popular retailer, Justice, recalled eight different Just Shine makeup products over asbestos concerns.